“Greenstone Global is our vessel for immigration success. Provides exceptional service: detailed information, straight forward, thorough advises and quick responses to our inquiries with expertise. Good value for money. We have a challenging condition: they provided alternatives that motivated us to chose the best. Their determination, encouragement and support made us stronger. The people behind Greenstone global are extraordinary. Graydon is a Licensed Immigration Adviser and director of Greenstone. Graydon and Vanessa started Greenstone in early 2006, bringing skilled overseas staff into New Zealand. Greenstone Global, the immigration advisory division evolved as the company dealt with related Immigration requirements: permanent residence applications and temporary visas. Graydon was a finalist in the NZAMI Immigration Adviser of the Year Awards for 2015. He has served on the Licensed Immigration Advisers Reference Group and on the Immigration Advisers Authority's working group for the Graduate Diploma in New Zealand Immigration Advice, required by new industry entrants. Graydon grew up in South Africa. He and his family moved to New Zealand in 2001. He has an Honours degree in Economics from the University of Cape Town and 10 years of banking experience: 3 years as a Senior Rural Banker with the Bank of New Zealand and 7 years of Investment Banking experience in South Africa. He is a keen sportsman and has completed multiple ultra-marathons and marathons. "Your service were swift and accurate, also I want to state especially is that Graydon and his team have always smile on their face and were friendly to me, that made peace in my mind in every meetings. Our contract comes to the end at the time for a permanent residency 2 years later; I will definitely use your service again in case I needed. Thank you team, and I wish you keep doing great job." Vanessa is a Licensed Immigration Adviser and Director of Greenstone. She was one of the first advisers to be licenced in 2008. Vanessa was a finalist in two categories of industry awards hosted by the NZAMI in 2013 - Immigration Adviser/Lawyer of the year and NZAMI Service Award. She enjoys challenging residence cases and appeals. Vanessa grew up in South Africa. She has a Masters degree in Economics from Rand Afrikaans University and 8 years of Banking experience in New Zealand and South Africa. She has served as a Board Member of the New Zealand Association for Migration and Investment (NZAMI), and on the Immigration Advisers Authority Reference Group. Vanessa is fluent in Afrikaans. "Choosing Greenstone was probably the best decision we made after deciding to immigrate to New Zealand. Vanessa’s professionalism and expertise combined with her personal touch made the whole process a lot easier and less stressful. Greenstone was the only immigration consultancy that presented different options from the start and made us feel positive about our chances to succeed. Our application was approved a lot quicker than anticipated and thanks to their assistance we are residents of this beautiful country. We would highly recommend Greenstone Global." Carol Wright joined Greenstone Global in 2010 and is a fully Licensed Immigration Adviser, with many years of experience with both work and residence visa applications. Carol has a special rapport with all her clients and was a finalist in the NZAMI Immigration Adviser/Lawyer of the year Awards 2017. She has also represented Greenstone on the Immigration Advisor Authority reference groups. Carol grew up in the USA and has a Bachelor of Arts International Studies from Miami University. She has three years legal experience in the Ohio state legislature. She has also worked in tertiary education for 14 years in New Zealand, often dealing with foreign students. Carol has three children with husband, Blair. "On the behalf of Alfredo, Nicolas and Mario we would like to thank Carol Wright for all the hard work and passion she has put into obtaining Alfredo’s 3 year work visa. We are extremely happy to have Alfredo in the team and have nothing but respect for all that Carol has done." Stephan is one of our Licensed Immigration Advisers. Stephan is experienced and leaves no stone un-turned in preparation of visa applications and other complex immigration issues. Before joining Greenstone, Stephan worked for a prominent law firm for more than seven years. Towards the middle of 2015 he sat and passed all the required papers (A+ average) to meet the Immigration Advisers Authority's licencing requirements. Stephan also sat on the the Immigration Advisers Authority reference group for 2016, where he worked to make a valuable contribution to the Adviser industry. Stephan grew up, studied and married in South Africa. He was later admitted as a lawyer in the High Court of South Africa. Stephan gained more than 13 years legal experience in South Africa before he and his family immigrated to New Zealand in 2008. Haley is one of our Licensed Immigration Advisers. Haley joined Greenstone in 2014 in the role of Administrator before moving into a Client Services Manager role. Haley took some time off when she had her son Jack at the end of 2015 and now returns to Greenstone Global as a Fully Licensed Immigration Adviser. She has a Bachelor of Business majoring in Marketing from Unitec and Graduate Certificate in Immigration Advice from Toi Ohomai, where she received the runner up award for second highest marks over courses B and C (Temporary and Resident visas). Haley was born in New Zealand and grew up in the small town of Pauanui on the Coromandel Peninsula where she now lives with partner Greg and son Jack. "The processing was really smooth. The processing of my application didn’t take long and Haley Sykes kept updating me with the status of my application. Haley prepared all my supporting documents in order and informed me of any additional requirements INZ needed. I appreciate Haley and the rest of the Greenstone Global team for making it happen in a short period of time. Cheers!" Steven is one of our Licensed Immigration Advisers. He completed his Graduate Certificate in New Zealand Immigration Advice from the Bay of Plenty Polytechnic in Tauranga in 2016, and served his two year period as provisional license holder at Greenstone before become a fully Licensed Immigration Adviser in June 2018. Steven has dealt with the full spectrum of immigration cases and is valued by all his clients. Steven was born in New Zealand and grew up in a multitude of places including Christchurch, Thames, Mussoorie (India), Suva (Fiji), Palmerston North, Auckland, Osaka (Japan) and Shanghai (China). He holds a Bachelor’s Degree in Computer Science from Massey University but his career has taken him in other directions including teaching, banking and marketing. After 13 years living abroad, Steven is now based in Hamilton, New Zealand. He is well versed in speaking business Mandarin. "I would just like to pass on how fantastic the service and advice provided by Steven was. He went above and beyond to make sure the visa was approved as quickly as possible and we would not have been able to do this without his expertise. This is a very stressful situation for a small business like ours and we are relieved to have this approved." Victor is one of Greenstone's Licensed Immigration Advisers. Victor knows first-hand the challenges an immigrant faces; navigating complex and ever-changing immigration legislation while wrestling with government agencies to secure a future in a new country. Victor moved to Hamilton for his family in 2017 and joined the Greenstone Global team to take the next step forward in his career. Victor was born in Bulgaria and migrated to New Zealand at the age of two (with some help from his parents). He was raised in Auckland and then travelled to the USA to obtain a Bachelor of Science in Business Administration from Rockhurst University in KCMO. Following a decade of competitive tennis as a player and coach, Victor decided to change direction and was hired by a prominent immigration consultancy in Auckland. He completed a Graduate Certificate in New Zealand Immigration Advice from the Bay of Plenty Polytechnic in Tauranga, and became a fully Licensed Immigration Adviser in 2015. "I have just got my South Island contribution visa approved and am so thankful to Victor Klintcharov and Greenstone Global. I am glad I did make the right decision by choosing Victor’s service. Before I lodged my visa application I did consult quite a few other Immigration consultants around NZ but all responded with one simple answer that my visa approval would be impossible! Victor did work very hard to make the visa approval possible." Jim is completing his Graduate Diploma in New Zealand Immigration Advice and is a provisionally licensed adviser. Jim was born in New Zealand and grew up in Auckland. He has a Master of Laws from Victoria University, a Bachelor of Arts and Bachelor of Laws conjoint from Auckland University and a Diploma in Project Management from the Southern Institute of Technology. He worked as a lawyer in Nelson before he and his family moved to Mae Sot, Thailand for 2 years and worked with a local NGO. They recently returned to New Zealand in 2017. Jim is married with 5 young children and loves spending time with his family. He is also a keen musician and bikes or runs regularly. Ruth is one of our Client Managers, and works with the Licensed Immigration Advisers to ensure that documentation is correct. She started her career with the ANZ Banking group, progressing through the ranks to Branch Manager during her 10 years with the Bank. While raising her three children, Ruth has worked in a part time capacity at various entities, most recently as Financial Administrator. She has also been very involved with the swimming community in the Waikato. Ruth has a National Certificate in Business Studies. Barbara has been with Greenstone Global since 2008. She started as the Office Administrator before progressing to her current role of Finance Administrator. Barbara has a New Zealand Certificate of Commerce and has worked in various office roles during her career. She is married to Grant, and has four children. "I am very thankful to Vanessa – my case was hard and still I succeeded in gaining my permanent residency. Barbara was very friendly. I would love to refer Greenstone global to my family and mates. Thanks Heaps." 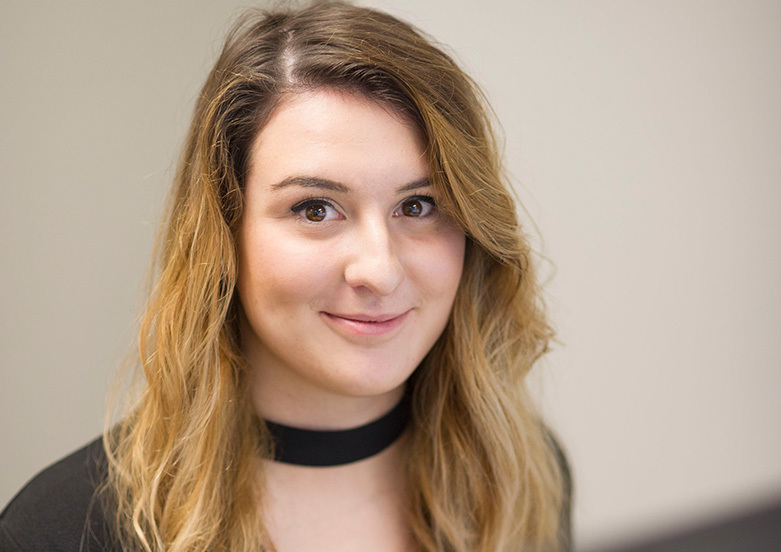 Aliye is our youngest team member, and as Client Manager she will assist the advisers in ensuring that all documentation is prepared correctly. She was born in England however was raised in New Zealand. She has also lived in multiple places around Europe until moving to Hamilton and joining the Greenstone team in 2018. Aliye holds a Bachelors degree in Psychology from the University of Plymouth. Aliye enjoys all things outdoors and has been an avid skier since the age of 2. Kay is Greenstone's Office Administrator and will be your first port of call, either in person or by telephone. Kay was born in Martinborough in the Wairarapa and has worked and lived in Wellington, Auckland and Hamilton.She began her career in Banking, working for two different Banks in Wellington and Hamilton for a total of 18 years. While her daughter was growing up she had other part time roles with an Export and an Import company in Auckland. She then spent 13 years at a Chartered Accountants firm. Kay loves people and enjoys spending time with her family and friends while enjoying cooking, travelling and reading.